My name is Carolina (Carol) Guizar and I am an intuitive eating coach and IBS dietitian who loves puns. I also love eating and consider myself an authority on food. From these two loves, Eathority was born. For many, eating can be both confusing and anxiety-provoking. If you identify with this, I can help reduce food fears and support you in becoming your own Eathority: an authority on your own body and eating choices. Whether you're a student, business traveler or working parent, I will help you incorporate intuitive eating principles that will end the cycle of dieting and reduce your preoccupation with the scale. If you’re experiencing digestive issues, we will discuss various food and non-food interventions to minimize uncomfortable symptoms. Together we will rewrite your food story as you confront old habits and thought patterns, and work towards achieving a more peaceful relationship with food and your body. You will start to clue into how food makes you feel and make decisions based on what your body wants and needs. We will clarify your health goals and focus on sustainable behavior changes that last a lifetime, so you never have to diet again. The journey isn’t always easy, but I’ll be by your side every step of the way. I have been a professional eater since birth. My most vivid memories of childhood revolve around food---my Mexican grandmother's plump hands shaping cornmeal into the perfect tortilla, me standing on tiptoe as I watched them slowly rise on the stove; or my mother concocting savory breakfast burritos from leftovers in the fridge, me gobbling one down as I drove my brothers to school. I never gave much thought to what I ate and developed an affinity for all things fast food, but would also have balanced meals at home. I look back on it now and realize it was an inherently healthy relationship with food. But some time after college, I strayed from this. I stumbled upon the raw food diet, then the Paleo diet. Food fears abounded and I was terrified to eat things like white rice, bread, and sugar. But there was always this nagging voice inside: Are my food fears warranted? Will I never be able to eat my favorite foods without guilt that I'm harming my body? I became a dietitian because I needed clarity on the science of nutrition and wanted to provide people with information to make food decisions based not on fear, but knowledge. Along the way, it also became apparent that people need help learning to trust themselves around certain foods, feel more comfortable in their bodies and feel healthier without restriction. Enter intuitive eating. Intuitive eating integrates all of these: body trust, food freedom, and science. It can help you live a life free of dieting while taking into account your health concerns. Intuitive eating teaches people how to eat outside of a dieting mentality by tapping into their unique hunger and fullness signals. Clients pay careful attention to how food affects them physically and emotionally, and use past eating experiences to gently inform their future food decisions. We address body image worries and find ways for you to feel more comfortable in your skin. Intuitive eating has changed the lives of many of my clients. To learn more about this approach and if it feels right for you, click here. Why should you trust Eathority? Carol gained valuable clinical and food service experience at Montefiore Medical Center and Montefiore-Einstein Center for Cancer Care in the Bronx, New York, where she established a comprehensive nutrition program for breast cancer patients and survivors. She expanded her counseling and food service skills at the non-profit organization, God's Love We Deliver. Carol holds a Master of Science in Clinical Nutrition from New York University and a Bachelor of Arts in History and Spanish from Georgetown University. She is fluent in Spanish. Carol is a certified intuitive eating coach who practices from a Health at Every Size perspective. She also specializes in the management of IBS, and has helped many people improve their relationship with food and their bodies. When not counseling, she can usually be found at Murray's Cheese Bar. 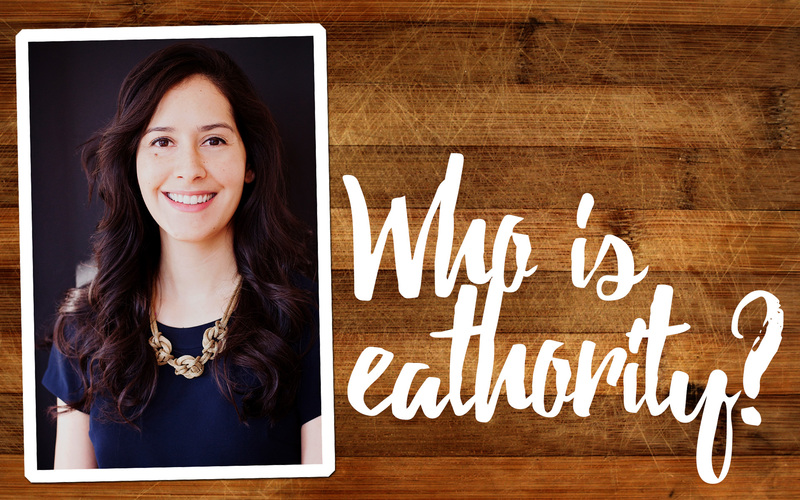 To set yourself up for a healthier and happier outcome, contact Carol to set up an appointment: hello@eathority.com.